Venum Tecmo Fightshort : Smash your limits ! Venum has implemented all its expertise to create the Tecmo fightshort. 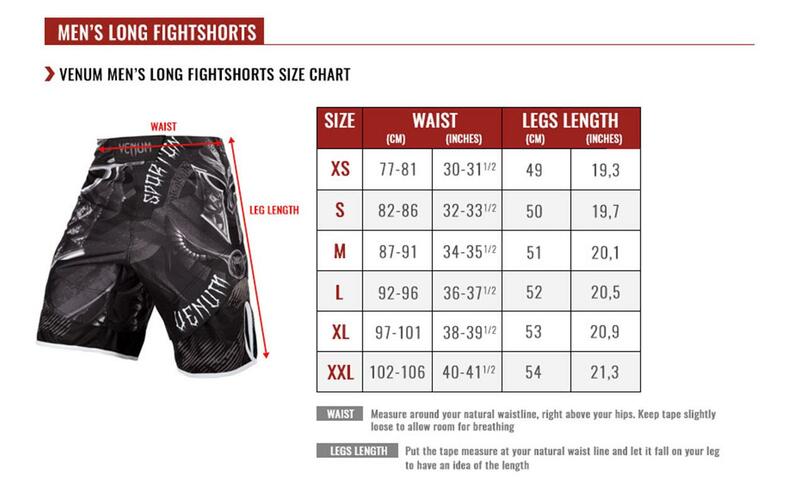 ... Unstoppable : ultra light and durable, this fightshort BJJ / MMA improve your reaction time. ... Elusive : with its side vents to give you unmatched mobility. ... Tireless : optimal regulation of body heat thanks to its slim fit. ... Unbeatable : it's reptilian design will turn you into a predator ready to devour his opponents. You will have... No limits ! Mesh panels providing optimal regulation of body heat. Reinforced stitching for extended life.